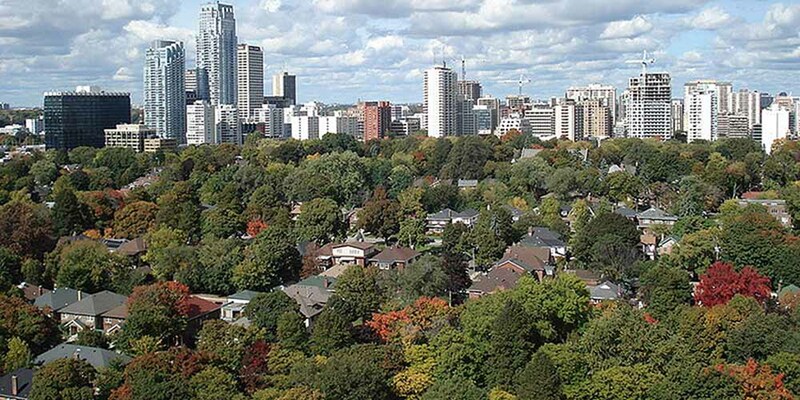 The majority of Davisville houses were built in the 1920’s and 1930’s. The houses west of Mount Pleasant Road are mostly large two and three-storey English Cottage and Edwardian-style homes. There are also a number of duplexes and walk-up apartment buildings in this area. The houses east of Mount Pleasant Road are made up primarily of smaller detached houses, semi-detached houses and bungalows. This part of the neighbourhood also contains a handful of historical homes from the late 1800’s, and a growing number of new custom built homes. Davisville Village also contains a number of newer condominium apartment buildings located mostly on Merton and Balliol Streets and along Eglinton Avenue. A plethora of rental high-rise apartment buildings are situated on Davisville Avenue. Davisville Village’s main shopping district is on Mount Pleasant Road. This shopping district is known as Mount Pleasant Village where you will find some of Toronto’s best restaurants and cafes as well as specialty food shops. This stretch of stores is also highlighted by a large group of antique and collectable shops that attract people from all over the city. Home decorating stores, children’s clothing and toy stores, a neighbourhood library and an old fashioned movie theatre all add to the ambience of this street. Davisville Park’s six tennis courts are used by the Davisville Tennis Club on evenings and weekends. This club has an active house league and tournament schedule. Adjacent to the tennis courts is the Davisville Park baseball diamond, which is extensively used by children and adult baseball leagues. Davisville also has an active nightlife with many pubs, restaurants, and movie theatres. There is local bus service on Mount Pleasant Road, Yonge Street, Davisville Avenue and Eglinton Avenue. These bus routes connect passengers to the Yonge-University-Spadina subway line. The Davisville and the Eglinton subway stations at Yonge Street are within a reasonable walking distance of this neighbourhood. This area offers motorists quick access to downtown Toronto via either Mount Pleasant Road or Yonge Street. 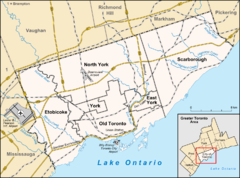 Toronto’s highways and expressways are located within a twenty minute drive of Davisville Village. This 2.6 hectare park can be found at the corner of Davisville Avenue and Mount Pleasant Road. The park features a ball diamond, six tennis courts, a volleyball court, a splash pad and children’s playground. 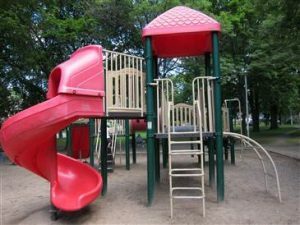 Oriole Park is special to the community in that it contains the first playground designed for children with disabilities.Neshama Playground has a water park, sensory musical features, Braille panels, an enclosed merry-go-round and accessible swings. Stretching roughly three kilometers and located in Toronto’s Rosehill neighbourhood, the Rosehill Reservoir provides one of the most beautiful walking excursions that you’ll likely find in the city. With three main entrances (at Mt. Pleasant Cemetery, at David A Balfour Park, and from St. Clair Ave. at the Avoca St. bridge) the reservoir is easily accessible for a person to go for a nice stroll or to walk their dog. The City of Toronto has built wooden staircases and walking trails on the west side of the reservoir for both convenience and to ensure that a little bad weather doesn’t stave off any potential wanderers.